I don't know if you've noticed the massive collection of PDF patterns on our site. With so many easily accessible patterns, it's hard to decide on a reasonable amount of projects to work on. I say projects because who only works on one at a time? Not me. So let's look through some of these things and pick a few favorites! First, I love this Catawampus pattern from Freckled Whimsy. This pattern is a new interpretation of a classic Irish chain quilt and is super versatile, depending on the feel you want. I love the scrappy look the sample has and it would make a great stash buster. You could replace the white background with another color or even a different color in each square and give it a totally different look. Or feature a large print in the background and use solids for the chain. 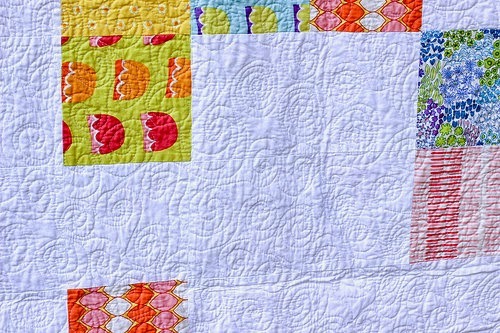 Next is the Lazy Daisy quilt from Jeni Baker. 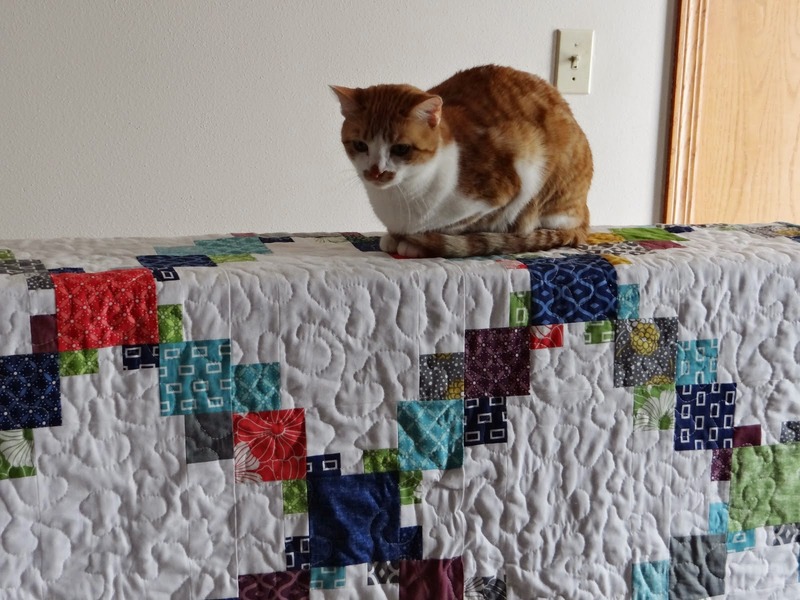 I'm not much of an improv quilter (hopefully that'll change after working with Sherri Lynn Wood at Camp Stitchalot this fall) so this is about as improvisational as my piecing gets. 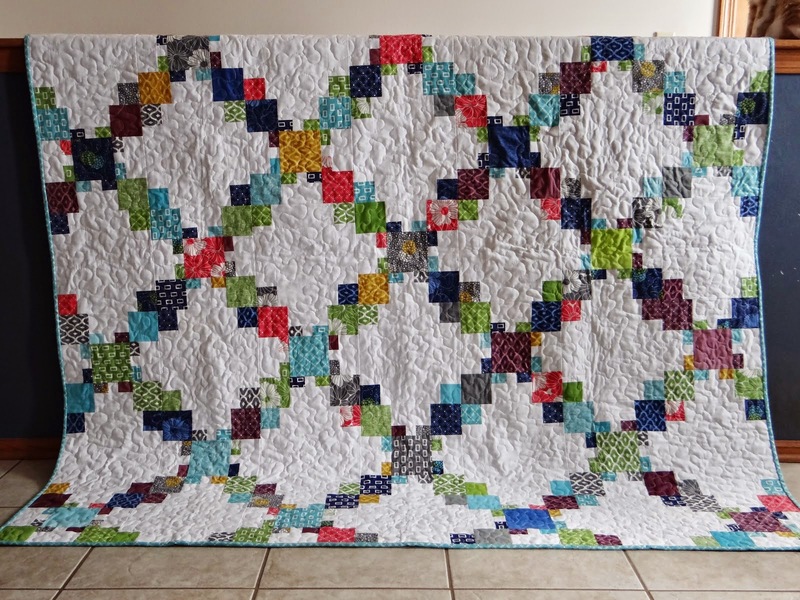 Jeni calls it "random grab bag chain piecing" and because of that randomness, you end up with a different quilt every time you make it. That kind of piecing would also make this a great leaders and enders project! 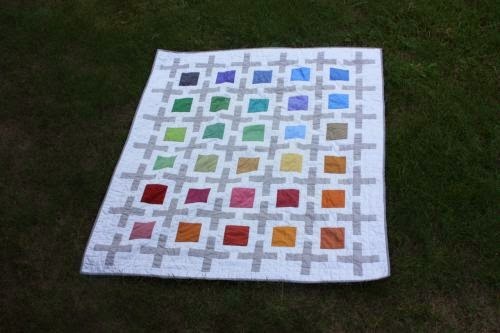 Last, and certainly not least, is the Positive Space quilt by Jenna Brand. 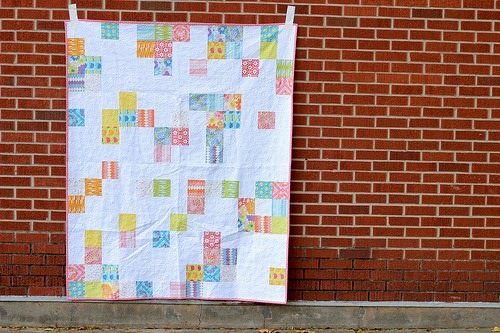 Jenna's use of solids is absolutely gorgeous in this quilt but you could easily switch it up with prints! 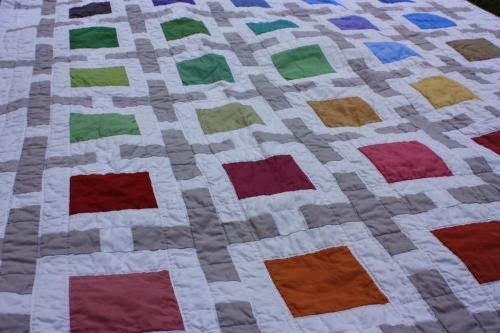 It would also be a great quilt for a color study, to showcase an entire collection of prints, or as a quilting sampler! Positive Space is just an awesome, simple, geometric pattern and there's so much you could do with it. Sifting through all those patterns has given me tons of ideas. Hopefully you're inspired a bit too and have something new in mind to work on this weekend!